Ha! I can actually see you in the bubble! Amazing. You take awesome pictures. Awesome. 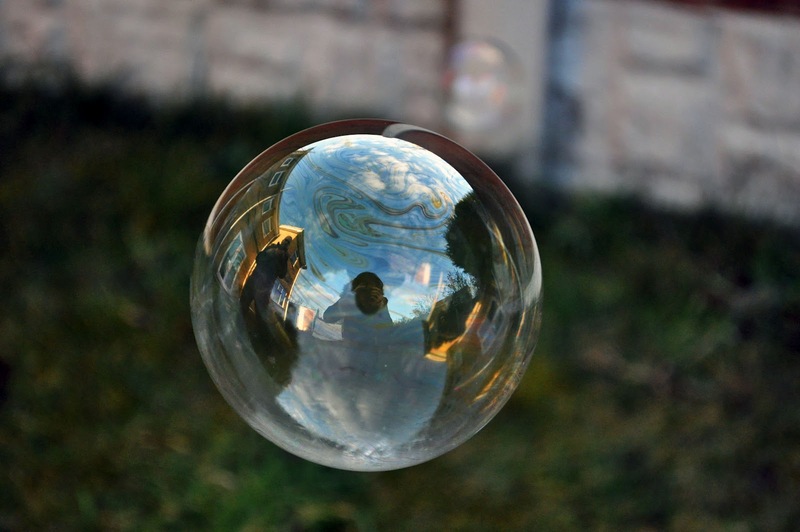 I love bubble pictures! me too. I cant get enough of them! wow!! that reflection is so neat!! Now that is just awesome! Bubbles are so fun! Wordless Wednesday: Hang on there little bubby!